As South Korean football enters a new year, officials will be hoping to put a match-fixing scandal behind them. 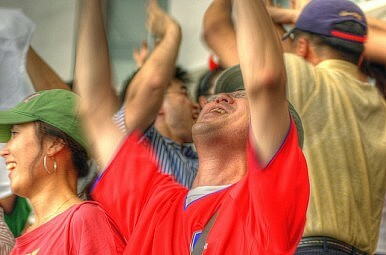 All involved in South Korean football will be hoping that 2012 will be a better year than 2011. Asia’s oldest professional league was stunned in March by the discovery of a match-fixing scandal that ended with more than 60 players, past and present, being prosecuted. It started, as far as we know, with young players on the fringes of the squad taking cash from criminals working on behalf of illegal betting sites. The league cup, the country’s third tournament, receives little attention from the media, and fans and gives these second-string players a rare opportunity to play. Sadly, it seems as if it also gives them an opportunity to make some extra money. Some have said that it’s Korea’s Confucian culture, which still has influence in all walks of life including football, that made it hard for the younger players to refuse the suggestions of senior colleagues or call them out on the practice. Whatever the reason, it was more widespread than anyone thought – and it spread from club to club. The authorities, of the legal and football kind, acted swiftly and decisively, and punishments were handed out of both the legal and football kind. Some players have been banned from the game for life, some for as little as three or four years. Some have been sentenced to a few years in prison, while others have been hit with fines. In October, Lee Soo-Cheol also killed himself. Lee was the coach of Sangju Sangmu, the league’s army team, at the start of the 2011 season. Lee had been sentenced to two years in prison on charges of blackmailing the parents of one of the players on his team after he found out that the player was involved in match-fixing. Suicide is a genuine problem in South Korea, and in recent years there has been a spate of celebrities who have killed themselves. Stars such as Park Yong-ho, Choi Jin-sil and Lee Eun-joo have taken their own lives in recent years, as did former President Roh Moo-hyun in 2009. It’s not something that football usually has to deal with, but the deaths increased determination that match-fixing should be rooted out as much as possible. The K-league is reorganizing the structure of the competition in a bid to increase the levels of professionalism. Relegation will be introduced in the 2012 season and clubs will be forced to follow strict operating criteria set by the league. It remains to be seen how it will go, but for the moment at least, Korea knows that the war on match-fixing isn’t over. South Korea's Kid Chess WhizzesWorld Cup Hopes Hang in the Balance for Japan, AustraliaSendai: A Tale of Football and HopeThailand’s Makudi to Run for AFC Presidency Japan: A Football, Rugby Powerhouse in the Making?